Dental insurance benefits are different from medical insurance benefits. Dental insurance typically doesn’t cover all services. Some policies cover only basic services and have annual limits on benefit payments. 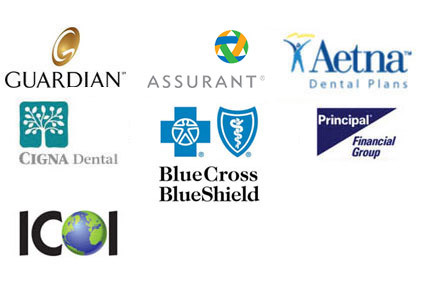 Grateful Dental is in-network for many and accept all PPO insurance companies including Guardian, Assurant, Principal, Cigna, and Aetna. We accept Visa, Mastercard, and Discover Card. We also accept Care Credit which you can learn more about below.